As we have products over 60,000SKU and a nation-wide business network that stretches from Hokkaido in the North to Okinawa in the South, an efficient distribution system is indispensable for us. 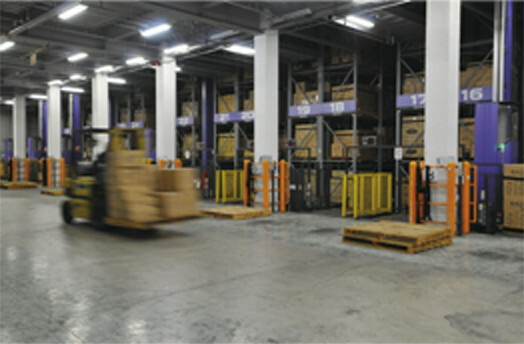 Products in stock are under centralized control at the Head Office, and a large-scale distribution of products is managed by our industry-leading computerized systems. Currently, we have 8 distribution stations nearby the Head Office, among which 3 are "super hub distribution stations with automated warehouse" occupying a space of 204,958 square meters. Construction of such centralized massive distribution system has helped us realize a more efficient delivery system which brings our products not only to every corner in Japan but also to other parts of the world, timely and speedily. We emphasize not only the speed of developing new products, but also the speed in distribution. It is supported by our computerized management system, top ranked in this industrial field. This highly advanced system not only has on-line based function of issuing and receiving orders , but also functions as stock control, factory management, data collection, all of which contribute to the accurate response to our customers' need. 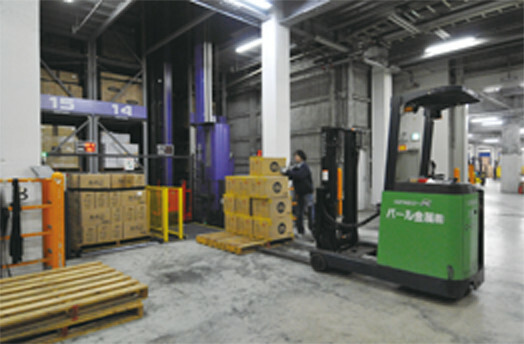 To cover over 350 sales agents locating in areas starting from Hokkaido to Okinawa, and stretches to overseas, we have built a wide network connecting Head Office to our 11 business offices and 11 distribution stations in the country, which has ensured delivery of our goods to the right destinations timely and effectively.